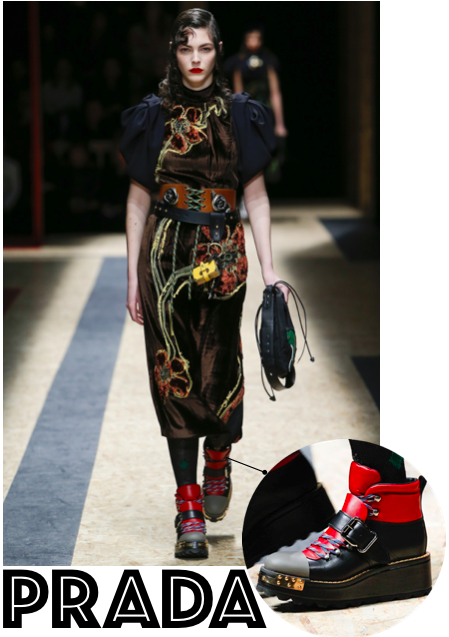 Seen on the last catwalk of Prada, the embellished leather boots. 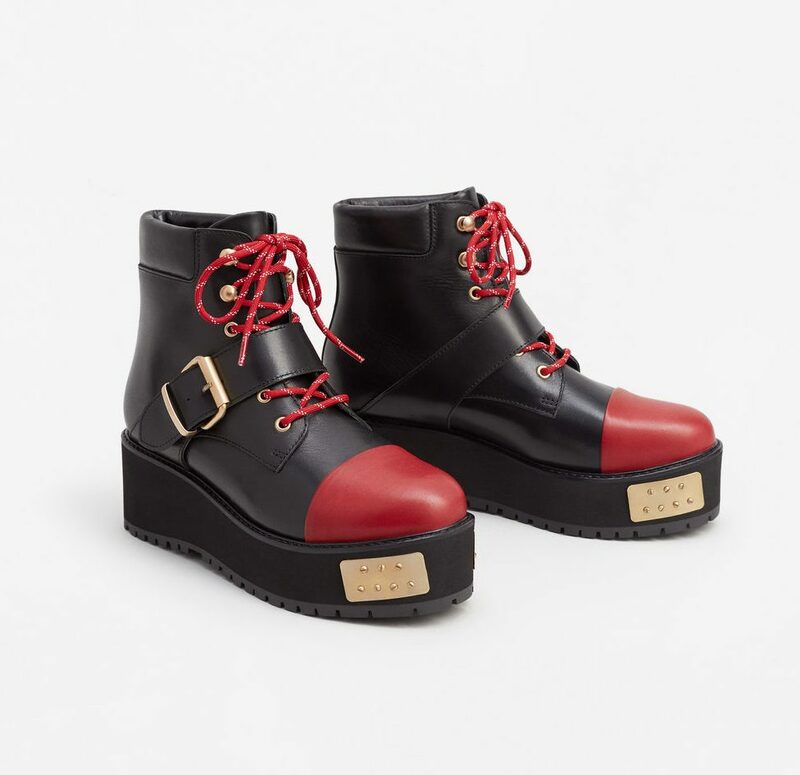 With a chunky platform and a stark black leather accented with a red rubber toecap with multicoloured laces to match. 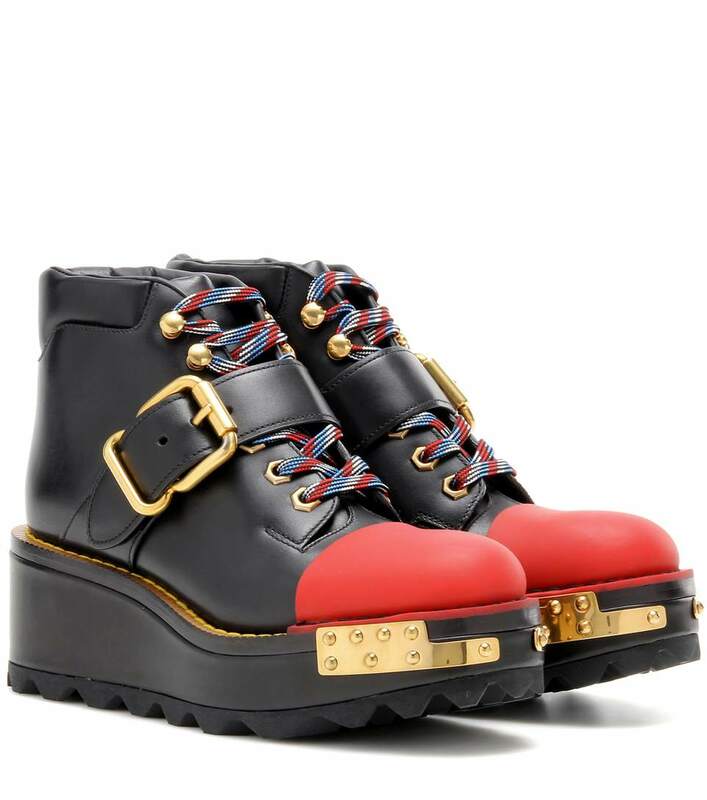 The exaggerated golden hardware adds rebellious spirit to the statement pair of boots. Price is £980. Are they worth the splurge ? well if you are not sure, Mango has luckily made a pretty good replica for only £119 (special edition).